The Love Child of Venus and Mars in Roman mythology is also known by his more popular name, Cupid. Appearing most often as a baby or young child with a quill of arrows, he inspires love by shooting his golden arrow. 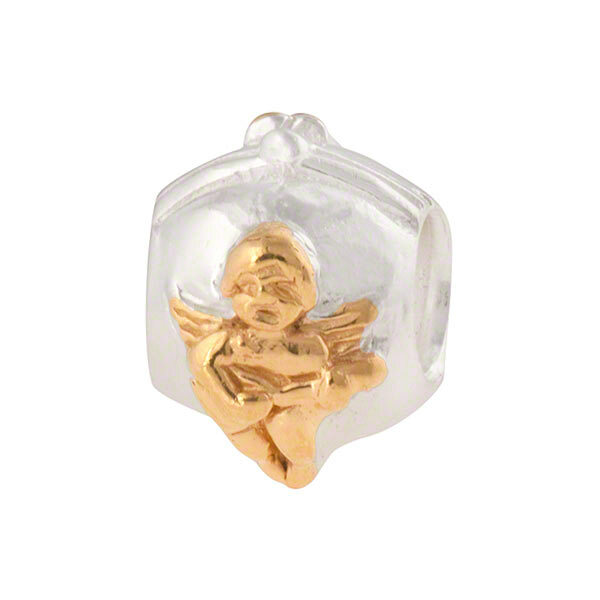 This vermeil version is set on an 11mm x 9mm x 11mm sterling silver charm with a threaded core. It is compatible with PERLAVITA jewelry as well as most major brands of large hole beads including Pandora and Chamilia.